I have long been in awe of Captain Noel Chavasse RAMC. He is the only recipient of two VCs awarded during the Great War. Visiting his simply marked headstone in Brandhoek New Military Cemetery, Vlamertinge Belgium, gives little clue to his extraordinary courage other than the two small VC emblems discreetly engraved (interestingly the second VC emblem was only added in 1981). His story is well told in Ann Clayton's biography written in 1992 and which I have just read. Like many stories associated with the Great War there is an inevitable mix of tragedy, resilience and bravery which leave one musing just how our current generation would cope with such life changing events. 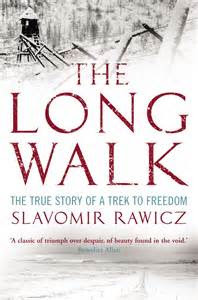 I guess I'm drawn to his story because of a long term fascination with the First World (I still recall reading The first day on the Somme sitting in Bedford library in the mid 1960s), the uniqueness of the man's exploits, his Christian faith, his work as a non combatant doctor and somehow wanting to share the sadness of his family (especially his fiancee Grace who came so close to marrying him). This latter emotion is a curious one but is experienced by many of us when we read stories of great sorrow and tragedy in our newspapers, and in reading somehow feel we are sharing in and with those affected. As a doctor he was hoping to be an orthopaedic surgeon, but happily joined up and served virtually from the outset of the war. He was to be away from home with his fellow soldiers for three Christmases before he was fatally wounded. His courage was most shown in the times he went into no-mans land to tend to and bring back those who had been wounded during various attacks. Some of these rescues were within twenty five yards of the enemies trenches, little more than a cricket pitch. I'm humbled reflecting on his commitment. As a doctor for just 40 years I have seen tremendous changes in attitudes of my fellow medics to working conditions. There is certainly no lack of hard working and devotion in many of my fellow doctors, but somehow there is also a strong seam of what I can only describe as 'office hours' mentality. Perhaps Chavasse went to the other extreme, some doctors have and still do, such that their family, health and wellbeing have suffered. Chavasse literally died because of his unstinting work ethic. But as in all things there is a balance to be struck and I can't help but feel that despite the recognised need for doctors to have strategies to cope (i.e. build resilience), it would be good-not least for our patients sake- to meld that self care with more of what I can only call devotion to the patients who entrust themselves to us. 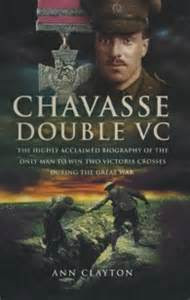 Chavasse: Double VC. Read, learn and inwardly digest. And see what you think.